Put the sparkle back into your Aga. Agaclean are the only dedicated Aga cleaning service in the UK. That's why we know everything about bringing them back to life – both inside and out. 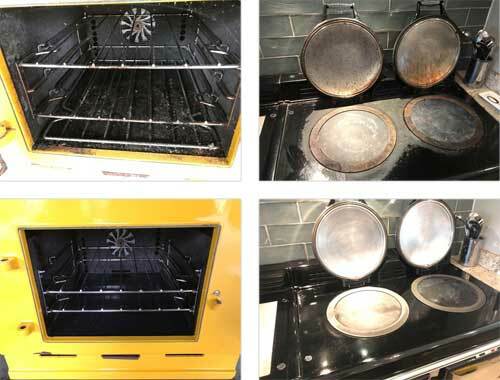 By applying plenty of tender loving care, our team of experienced professionals will restore your lacklustre Aga to its shiny, sparkling former glory. With our nationwide operation, we guarantee a fast, friendly and thorough service. My sister, being slightly horrified by the state of my old and very well used Aga, sent me the cutting of an advertisement she had seen claiming to "Put the sparkle back in your Aga". Eventually I got round to ringing Stuart to arrange an appointment. He and his wife duly appeared, and with the minimum of fuss and absolutely no mess they set about my old red enamel friend with quiet and efficient vigour. 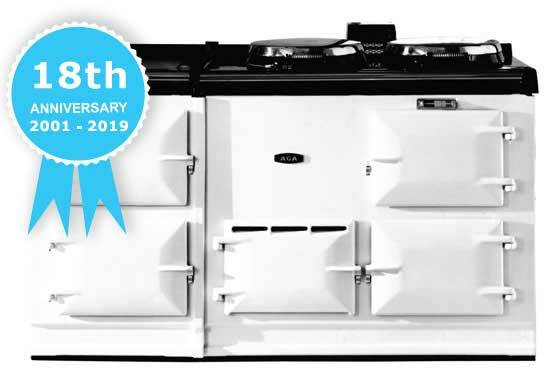 The grime of years was swiftly removed and my Aga restored to its' former glory – even the inside of the ovens gleamed. Now they come every year. I have no hesitation in recommending Stuart and Karen Nelson – they are 100% honest and reliable, very experienced and incredibly nice to do business with. Rosie Vestey, Foxcote Manor, Gloucestershire.